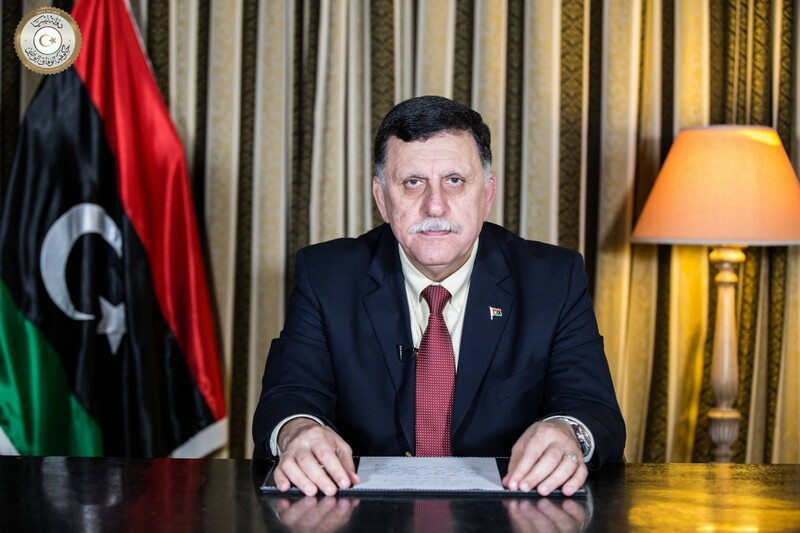 UN-backed Presidential Council (PC) of Prime Minister Faiez Serraj has declared the state of emergency in the Libyan capital, Tripoli, turned into a battle field between militias since last week. Tripoli and its surroundings have witnessed sporadic fighting between powerful militias aligned with the PC. The fighting, according to the ministry of health controlled by the UN, has killed over 30 persons, and injured at least 100 people. The clashes, which occurred in the capital and its suburbs, have affected oil facilities and forced the Government of National Accord (GNA) to close Mitiga airport after some rockets were fired in its direction, reports say. The clashes erupted after militias from the city of Tarhouna located to the south of the Libyan capital, attacked other militia groups on the outskirts of Tripoli. Efforts by the UN to establish a ceasefire have turned fruitless. Saturday, the United States, France, Britain as well as Italy issued a joint statement condemning the clashes which, they said, weaken the PC. “These attempts to weaken the legitimate Libyan authorities and hinder the ongoing political process are not acceptable,” Washington, Paris, Rome and London said in the joint statement. UN Secretary-General António Guterres on his part condemned the escalation of violence in and around Tripoli and called on all parties to immediately cease hostilities and grant humanitarian relief to those in need. In a statement issued by his spokesperson, Secretary-General Guterres raised particular alarm over the use of indiscriminate shelling by armed groups leading to the death and injury of civilians, including children. In the statement, the UN chief also called on all parties to abide by the ceasefire agreement brokered by the UN and the Reconciliation Committees. It added that Ghassan Salame, the Special Representative of the Secretary-General for Libya will continue to offer good offices and work with all parties to reach a lasting political agreement acceptable to all to avoid further loss of lives and for the benefit of the people of the country. Turkey also on Sunday voiced concern over the clashes. The Turkish foreign ministry said it supports all ceasefire efforts seeking to restore peace and security in Tripoli. Posted by Khalid Al Mouahidi on September 3, 2018. Filed under Zoom. You can follow any responses to this entry through the RSS 2.0. Both comments and pings are currently closed.